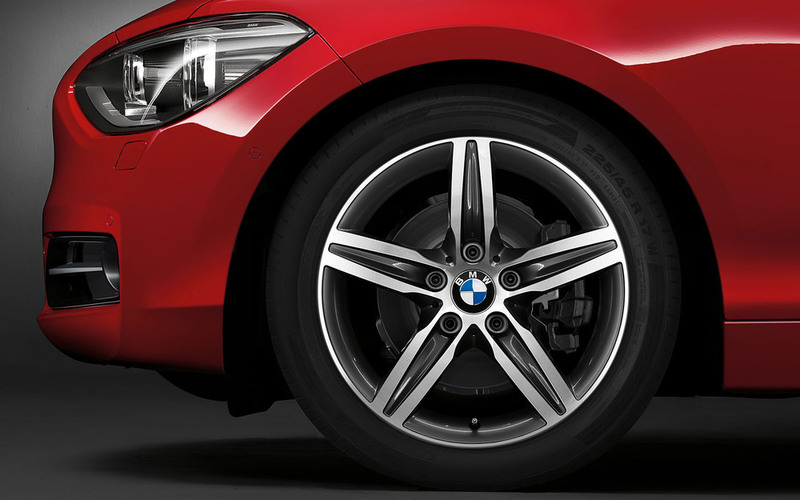 Whether you choose the Sport or Urban model the BMW 1 Series Sports Hatch guarantees pure driving pleasure. The athletic lines and powerful contours are guaranteed to stand out, but as a five-door model for four passengers this is also a practical option. It is one of the few hatchbacks in the compact class to offer two rear seats and useful storage options in the centre, which can be replaced by a third seat if required. Compact and agile, with large inviting rear doors that give an indication of the spacious interior the BMW 1 Series Sports Hatch has instant appeal. Despite the completely new design, from the very first glance this car reveals its unmistakeable BMW 1 Series roots. Distinctive lines and three-dimensional effects characterise the dynamically shaped bonnet. The kidney grille in the centre, together with the horizontally sectioned headlights, generates a strong presence, which is further reinforced in the xenon version by the innovative Corona rings. This car is so dynamic, that even when it’s stationary it appears to be moving. BMW designers talk of the layering system when they’re explaining the styling concept for the spacious interior of the BMW 1 Series. Drivers tend to talk of the lightness of the space when they describe the effect. Components such as the instrument panel or decorative trim strips blend to create a modern look and provide a formal framework for the controls. Each ergonomic challenge has been solved intelligently and with care. Like the Control Display. Following the BMW 6 Series, the BMW 1 Series is now the second range of models to feature a free-standing Control display. But it’s not just about the technology, it’s the little details that count which is why the Control Display is located in the middle above the centre console so it’s directly in the driver’s line of vision. Metallic paint, leather seats, Bluetooth hands-free with USB, Dynamic Traction Control (DTC) Sport leather steering wheel, park distance control, sport seats, comfort access, Urban or Sport lines available, selection of alloy wheels, on-board computer, fog lights. WARRANTY: Two years first service included.